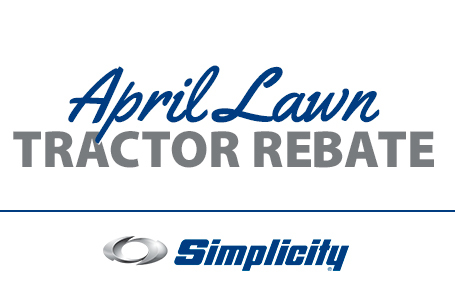 Can a lawn tractor be both high-performing and comfortable? 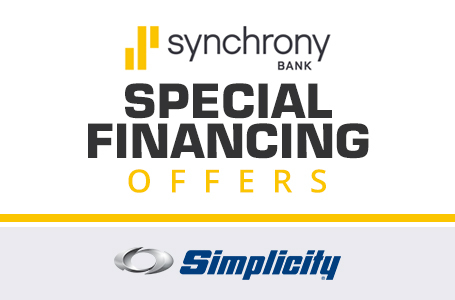 The Simplicity Broadmoor™ answers this question with a definite "YES!" 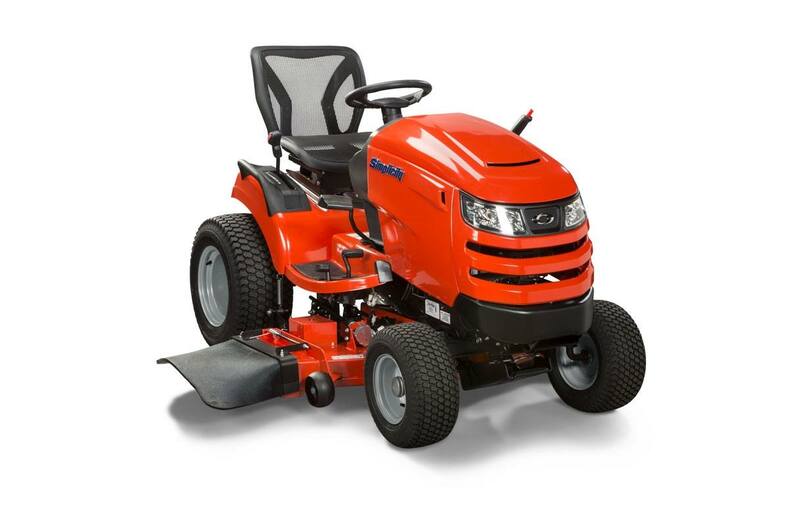 With the unique Free Floating™ Mower Deck, rear suspension (select models) and breathable ergonomic mesh tractor seat, mowing the lawn will never feel like yard work. Automatic Controlled Traction™: With Automatic Controlled Traction™, drive power is continuously supplied to both rear tractor tires maintaining superior traction in all operating conditions. 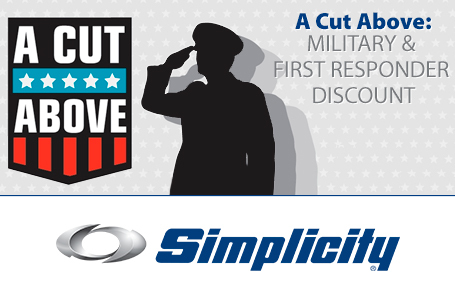 Free Floating™ Mower Deck: Simplicity's Signature Free Floating™ Mower Deck follows the contours of your lawn, providing an even scalp-free cut. 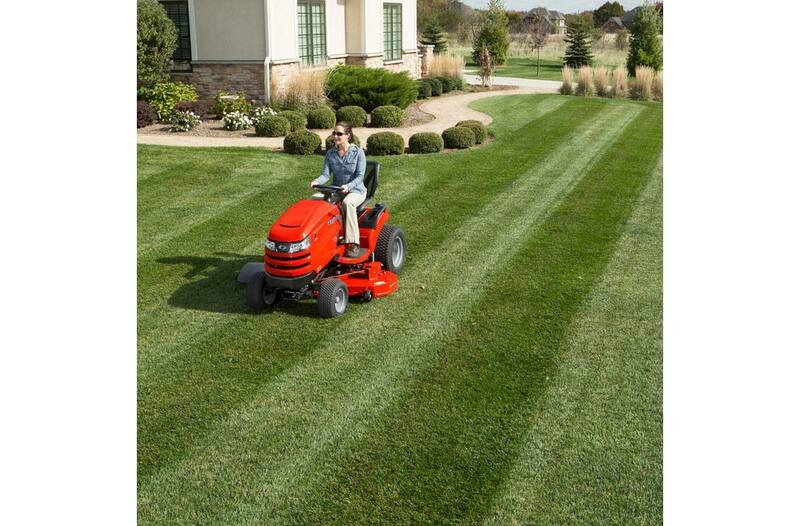 The full-width rear rollers provide a smooth finish and allow you to create dramatic ballpark-style lawn stripes. 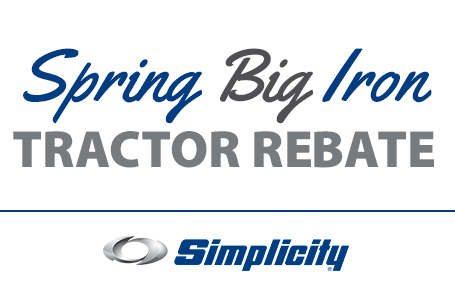 SCS™: The exclusive rear Suspension Comfort System™ (select models) reduces the impact felt at faster mowing speeds. Plus, an ergonomic mesh seat keeps you cool and comfortable. Deluxe Tractor Control Panel: Everything you need is right on the Broadmoor's dash. Whether it's the clock, hour monitor, height-of-cut adjustment, or the easy-to-use push button start, you will be able to operate the Broadmoor with ease. Electric Height-Of-Cut: Easily change the cutting height with the simple moving of a switch. The electric height-of-cut lets you choose from 1.0 to 4.0-inches. 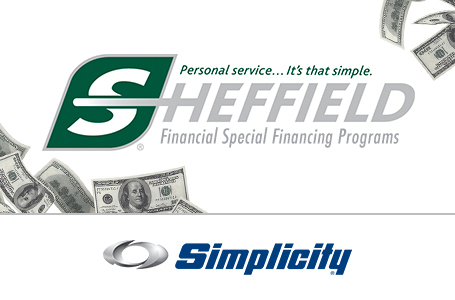 Briggs & Stratton® Engine: The Briggs & Stratton Professional Series™ V-Twin Engine features ReadyStart® no choke starting system for easy car-like starts. 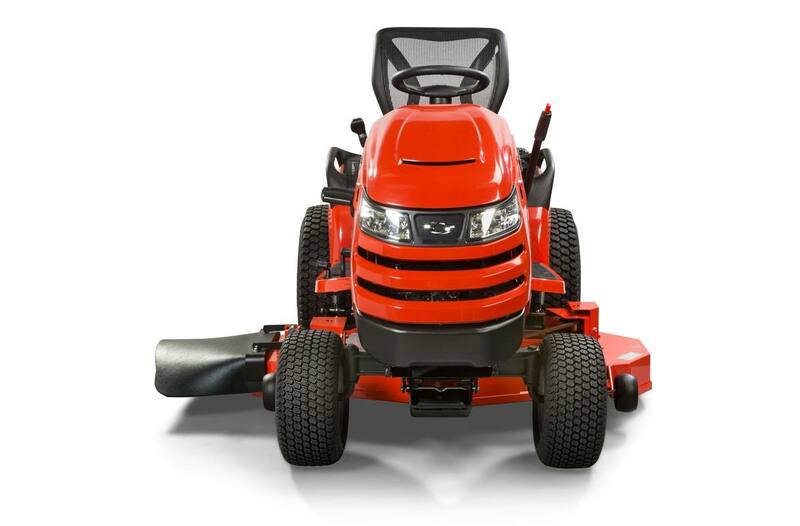 Turbo Collection System: The turbo blower tractor attachment easily attaches to the mower and gets power directly from the mower rather than an expensive auxiliary engine design. Available for the 44", 48", 50", and 52" mower deck sizes. Snow Cab-Soft Side: The snow cab snow blower attachment is made of vinyl with clear, shatterproof, non-fogging Lexan windows and a glass windshield; no wiper. Mulching Kit: Our innovative system reduces grass clippings and returns them to your lawn. 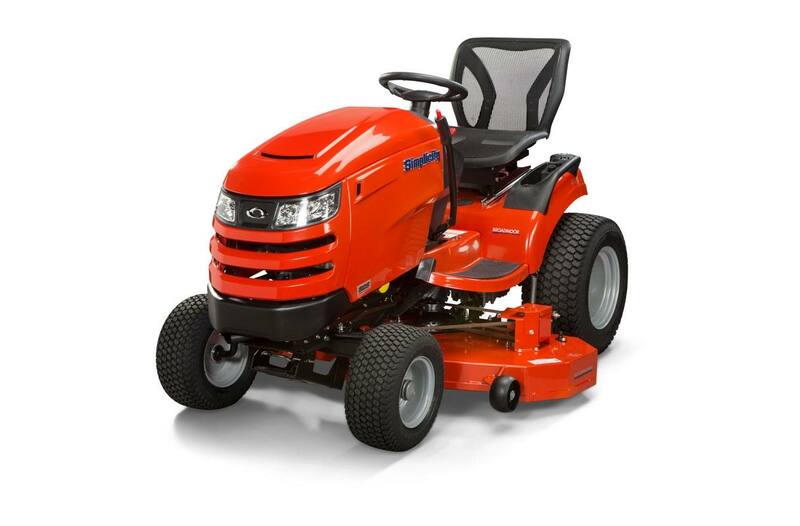 Available for the 44", 48", 50", and 52" mower deck sizes. Clean Sweep™ Triple Grass Catcher: Collect up to 10-bushels of grass clippings in three removable bags. Available for the 48", 50" and 52" mower deck sizes. Dump Cart: This sturdy, 10-cu. ft., multi-purpose cart is great for yard chores and easy to attach. 48'' Snow/dozer Blade: Can be angled in multiple positions and is spring-loaded to absorb shock and clear snow away from driveways or sidewalks. 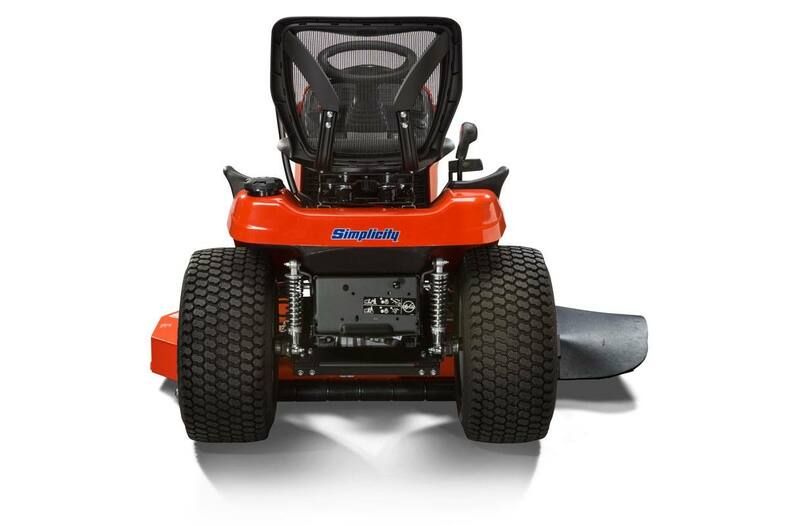 42'' Single-Stage Snow Blower: Make short work of deep snow with this rugged single-stage snow blower. 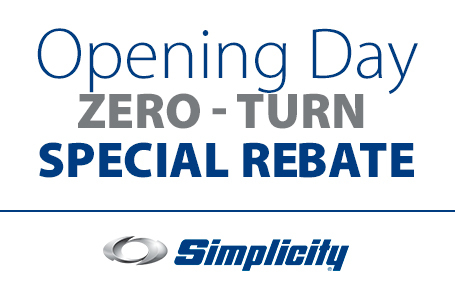 42'' Two Stage Snow Blower: Make heavy-duty snow removal easy with a two-stage snow blower. Plug Aerator: Aerate 48'' wide and up to 3'' deep. Allows for fertilizing roots in the fall and a quick start for seed in the spring. 36" Tiller: Three-foot-wide swath prepares soil quickly for planting. 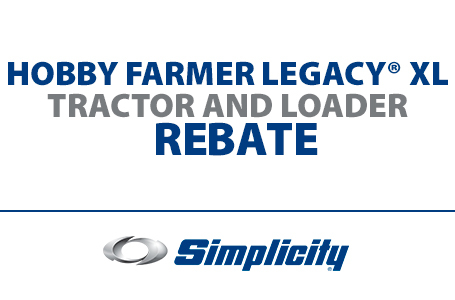 The Simplicity tiller tractor attachment comes with heavy-duty steel tines. 23 x 10.5 - 12 in.